Coney Island offers a festive atmosphere for great family fun and plenty of places for delicious foods including; Nathan's Famous Hog Dog's, Ruby's Bar and Grill, the famous Grimaldi's Pizza and more for the entire family to enjoy! Come spend the day with Gunther Tours on a New One-Day Tour! Bring the whole family for an experience theyll never forget . . . explore Coney Island in Brooklyn, New York. Coney Island offers a festive atmosphere for great family fun and plenty of places for delicious foods including; Nathans Famous Hog Dogs, Rubys Bar and Grill, the famous Grimaldis Pizza and more for the entire family to enjoy! 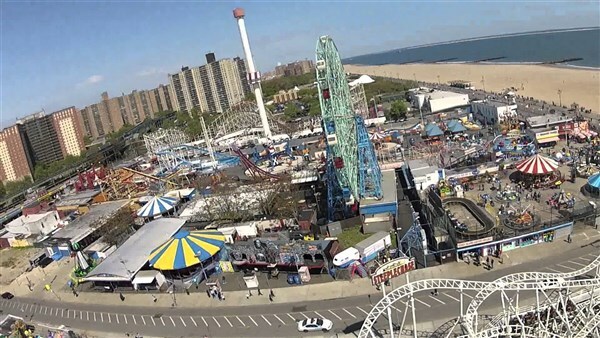 A historic New York City neighborhood, Coney Island features an amusement area that includes more than 50 separate rides and attractions, and a seaside resort. Its a beach and entertainment destination for the whole family to enjoy for the day! We spend 5-hours at Coney Island. The day is unscheduled, so celebrate the day and explore the amusement area, the seaside attractions, and enjoy delicious food on your own at your leisure. Note: A rest stop will be made en route to Coney Island, and a fast food stop will be made on the return trip home. Come spend the day with Gunther Tours on a "New One-Day Tour!" Bring the whole family for an experience they'll never forget . 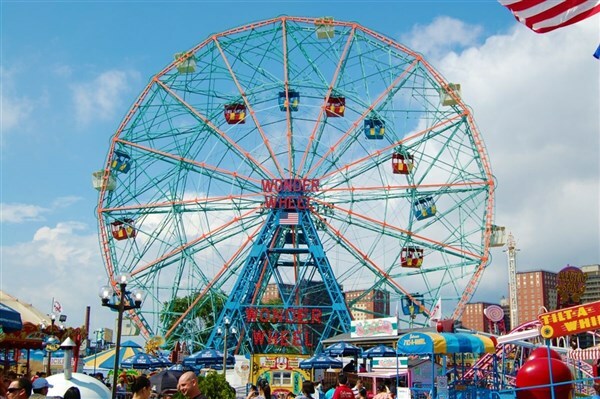 . . explore Coney Island in Brooklyn, New York. 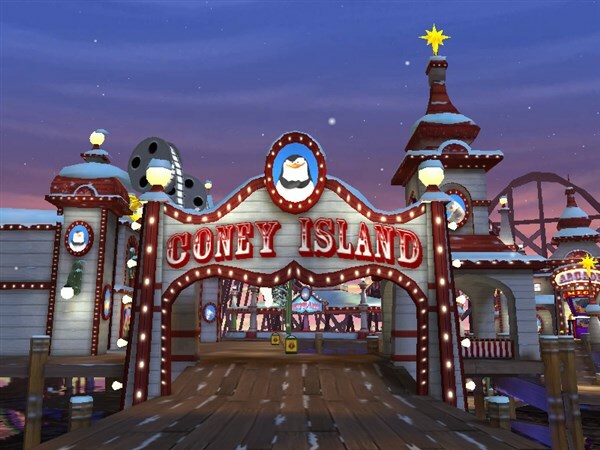 Coney Island offers a festive atmosphere for great family fun and plenty of places for delicious foods including; Nathan's Famous Hog Dog's, Ruby's Bar and Grill, the famous Grimaldi's Pizza and more for the entire family to enjoy! 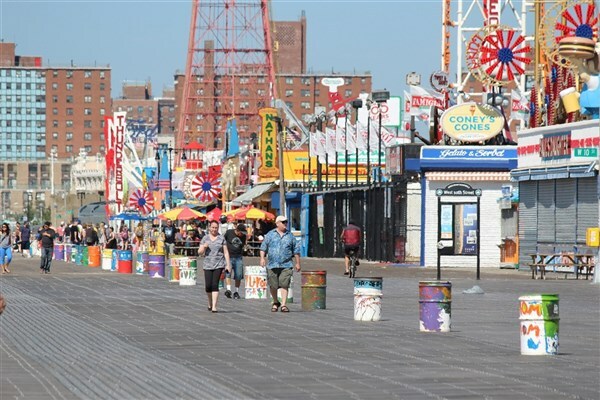 A historic New York City neighborhood, Coney Island features an amusement area that includes more than 50 separate rides and attractions, and a seaside resort. It's a beach and entertainment destination for the whole family to enjoy for the day! We spend 5-hours at Coney Island. The day is unscheduled, so celebrate the day and explore the amusement area, the seaside attractions, and enjoy delicious food on your own at your leisure. Note: A rest stop will be made en route to Coney Island, and a fast food stop will be made on the return trip home.